First off, please bear with me through this post. I wouldn't have the inspiration to write it were I not seriously poorly, and I know from previous experience that once discharged my impetus to write lessens as I focus on returning to health & work. also I'm dictating it through dragon as my eyesite is somewhat restricted. However, the food is not good, in quality, in terms of nutrients, flavour, texture, and what is on offer. 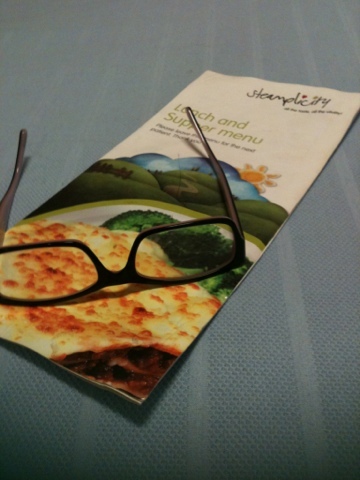 Lunch and dinner are selected from something called a Steamplicity menu. I'm having trouble seeing but from what I can understand instead of microwaved the meals are reheated/ finished off in an industrial steamer. 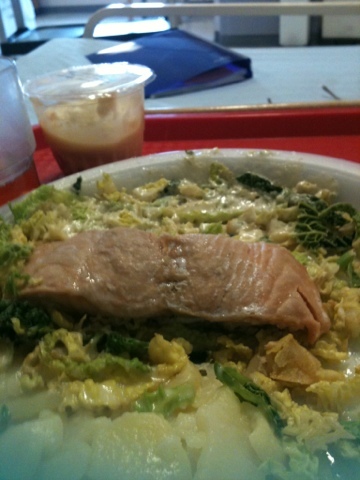 I'm alternating between poached salmon & cabbage and roast(?) chicken and carrots. Both dishes come with potatoes but I feel no need for extra carbohydrates as I'm doing little other than taking painkillers. I've been having sandwiches, either chicken (roll I think it's called) or cheese and tomato with a yoghurt. There is cup a soup on offer but I'm having fruit juice cups that I dilute with water instead. Mass catering is difficult, especially to the restrictive budgets set by the government. I think it's fair to say I've seen it done far better from the eating perspective and suspect that in newer hospitals the infrastructure isn't there for the development of properly healthy tasty food. I don't claim to have all (or even any) of the answers, but hoped this would raise the question of the affect of a diet of hospital food on ones well being. I certainly don't feel any better or particularly nourished in any way and am craving fresh fruit, vegetables and textures desperately. Oh dear, I do hope you are starting to feel better now :( Hospital food does leave a lot to be desired, I'm sure it could be done better. When I was stuck in for a week before & after having my daughter I also lived on the sandwiches. I was treated in a private hospital last year for a big knee operation and the food there was absolutely delicious!